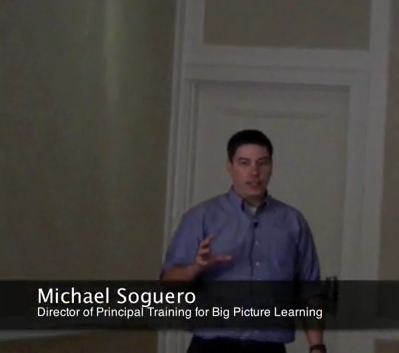 Successful companies rely on extensive sets of data to make decisions and evaluate performance. One universally recognized problem facing our education system is that schools do not do the same, and instead rely solely on simplistic measures of performance including test scores and graduation rates. 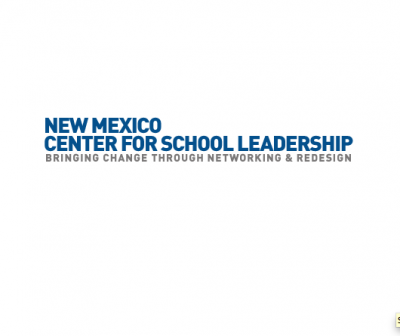 The Professional Development Center at Eagle Rock will continue education renewal work in collaboration with the New Mexico Center for School Leadership in Albuquerque, NM during the week of July 21st in an effort to increase staff capacity at Health Leadership High School. 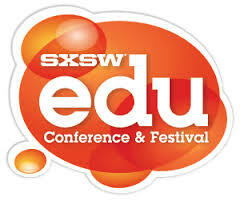 The Professional Development Center at Eagle Rock will continue education renewal work at the SXSWedu Conference & Festival in Austin, TX from March 9 – 12, 2015 and has limited appointments available to discuss what we do and how we might work together. 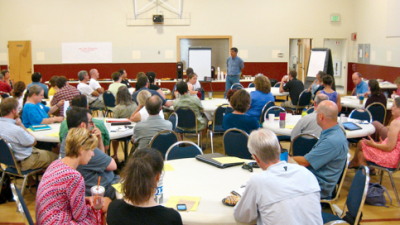 Interested educators can tweet at us @eaglerockschool to set up a meeting. 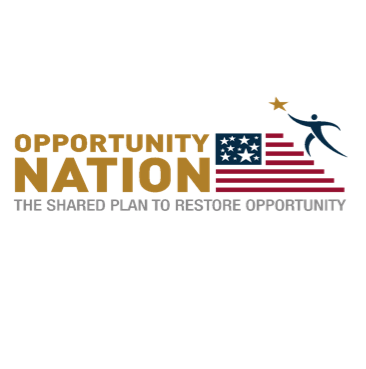 Eagle Rock School & Professional Development Center announced today that it is joining the Opportunity Nation campaign, a broad-based, cross-partisan coalition of 250 public, private, non-profit, civic and faith-based organizations all working together to expand economic opportunity and close the opportunity gap in America…. 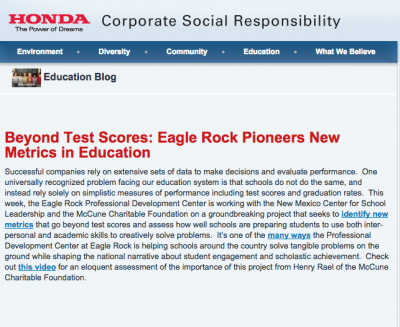 May 14, 2012 . . . Washington, DC – The Character Education Partnership (CEP) has named Eagle Rock School & Professional Development Center as a 2012 National School of Character (NSOC). 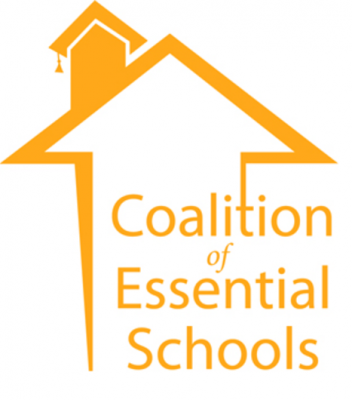 …the Executive Board Coalition of Essential Schools has named the Professional Development Center at Eagle Rock as a resource to serve as conveners of the Coalition of Essential Schools’ Affiliate Centers…. Eagle Rock School & Professional Development Center is participating the the 2009 AmeriCorps Video Contest. Please check out our two 60 second videos here and here. If you comment positively that factors into our winning so please help us out. Please check it out before May 29th when the contest ends. Thanks!